What are the best digital asset management software? In today’s digitally fast-paced world, more and more companies are managing their business assets and processes online. Gone are the days when you’ll have to keep track of your files stored in dusty boxes and piles of documents, receipts, invoices, sales logs, and timecards, that are all cramped in your office or storeroom. Since most files are now digital, using a digital asset management software solves efficiency and security issues. Digital asset management, or DAM, is a platform that takes the place of those physical storage spaces and even traditional internal servers. It offers a more organized and retrievable solution by streamlining the process of storing, archiving, searching, retrieving and circulating files. If you’re looking for a specific file from 5 years ago, you’ll no longer sift through documents individually that was arranged in a stream of consciousness that’s both frustrating and time-consuming. Digital assets can range from images, videos, audios, creative files, documents, and presentations, among others; hence, a digital asset management system also covers a wide array of solutions from an individual digital file library to enterprise-level file database. The preference for rich media content and the increase in sheer volume of digital assets are only some of the key drivers in the constantly increasing demand for DAM software. According to Grand View Research, the global DAM market size, which was valued at $101.7 million in 2014, is expected to grow and expand drastically in years to come. It’s easy to see why as the software products provide businesses of all sizes with excellent solutions and benefits. Digital asset management software programs are quick to deploy, easy to use, and accessible anytime, especially if it lives in the cloud. With the creation of more digital assets, it can be hard for employees to locate specific files that impact their productivity and efficiency without a system that optimizes the process. In a Gleanster study via Smartsoftware Blog, it reveals the compelling reasons why top performers implement this system. These are work optimization (92%), centralized file access (90%), and streamlined reuse of digital content (72%). On average, users also save 2.69 hours each week when using the software which translates to companies saving an estimate of up to $5,315.44 a year for every user. With that in mind, let’s proceed with the 20 best digital asset management solutions to check out. Adobe Experience Manager leads our 20 best digital asset management software list with its digital experience management solution at a scale that drives engagement and fosters your brand through delivery of effective and compelling content via web, mobile, and IoT (Internet of Things). Offered by one of the world’s top content management suites, you can expect a powerful and modern system that integrates with your existing creative workflows seamlessly. Your entire team benefits from managing rich media that’s optimized on demand for any platform, screen, or channel. An end-to-end management of assets allows you to quickly connect, create, handle, and optimize experiences through Adobe Creative Cloud and Adobe Marketing Cloud solutions. Since distributed teams work in a centralized location, you can strengthen your brand more by delivering a consistent and engaging customer experience across various channels. Why choose Adobe Experience Manager? End-to-end management of assets. Since it’s part of Adobe’s software suite, integration with other widely-used Adobe software products is optimized for a quicker and more seamless delivery and management of assets across platforms. Easy site management. Whether it’s on the web or on mobile, the software delivers immersive experiences with multisite management, marketing campaign management, and mobile content management. Creating forms and documents. You can create personalized responses with the app’s business-friendly authoring and simplified form filling process using e-signature, field validation, and help text, among others. Personalized pricing. The software offers plans that are catered towards unique business needs which means requesting a quote is required. Cloudinary provides an end-to-end management solution for images and videos in the cloud. The app is designed for web and mobile developers with cutting-edge capabilities and simple integration. It’s also built for teams with a growing media library who needs a centralized platform to search and browse their library, tag, and archive files, modify and circulate assets, and track performance. Having a single source of truth is optimized with a web-based management console that uploads images and videos in any source and then organizes them systematically in folders and subfolders. It has enhanced searchability according to custom tags, categories, attributes, asset types, size, color, and file format for quick retrieval. Cloudinary also supports and prioritizes end-user experience and provides you with insightful reports and analytics. Streamlined searching. The software has a very streamlined approach to filing digital assets that retrieving them is accomplished with so much ease through tags, categories, attributes while documents and images can be detected with text. Efficient asset management. Uploading files and organizing them into folders is streamlined for efficiency while maintaining a single source of truth. With that, version control and metadata management is used. Prioritizing end-user experience. With the user’s experience as a priority, the app provides user with a rich set of features for convenience and efficiency including asset manipulation and performance optimization. Affordable plans. Cloudinary offers monthly and yearly plans that start at $99/month. Furthermore, they have a fully featured, no time limit free plan. Bandicam is a digital asset management solution for a desktop screen, video, and game recording. It lets you record 2D and 3D games with 4K UHD video where you can capture it for up to 144FPS video. It has a high compressing ratio so the quality of your videos will look close to the original work. You can also record anything on your screen and save it in image or video (MPF, AVI) file formats. Recording on external video devices such as a smartphone, IPTV, webcam, and PlayStation or Xbox, among others, is also possible. Video customization. Personalizing your videos is simple – you can add a real-time drawing over your screen, apply mouse effects, add a webcam overlay, and put your logo to watermark your video. Mix your voice. If you want to add voiceovers in the video you’re recording, the app enables you to do so easily and without using other third-party applications. Selective area. When recording, you don’t have to include your entire screen. Instead, you can simply select a specific area you want and hit record immediately. Value for money. A one-time payment of $39 for a single PC lets you use the program forever. It costs $59 for 2 PCs. PicMonkey is an easy-to-use DAM platform designed to manage your images when it comes to editing, collage making, and graphic designing. Since visual content is crucial for many businesses, especially on their social media platforms, creating an eye-catching and appealing image is vital – which is where PicMonkey shines. Even novice users can easily navigate around the platform with its simple yet intuitive design. It’s also available as a mobile app for editing on-the-go for iOS and Android users. Direct printing. Once you’re satisfied with your artwork, you can immediately print your photo or graphic design on canvases and flat cards via PicMonkey’s Print Shop. Editing on the go. With the use of its mobile app, you can make edits on any device. The app is rich-featured especially for editing selfies such as brightening your eyes or making your complexion appear smoother. Available for free. You can use the app’s manipulation kit for free. For more advanced features, you can avail of its premium plans from $7.99/month or $3.99/month when billed annually. Asset Bank is a complete digital asset management solution for tracking, organizing, and storing your digital assets securely. The browser-based DAM system offers to download presets to expedite the process and has an advanced download feature that enables you to modify the file before downloading it. It is available both in the cloud or on-premise for a deployment model that suits your preference and workflow. When it comes to security over your digital assets, Asset Bank provides comprehensive control and user permissions to ensure you’re on top of each team member and partner who has access to your digital assets. It supports a wide range of digital formats from documents to images and videos. Lightboxes. An image storage location where you can preview, share and download your digital asset collection. It gives you a single management base where you can accomplish various tasks such as bulk updating and comparing images side by side. Advance file download. This enables you to download the original file and have limitless freedom on its size, scale, orientation, and quality, among others, before even downloading the file. Flexible asset upload options. Whether you want to upload a file one by one or by bulk, you can seamlessly to do so both from scratch or through migration from another system. For a video-focused platform, Panopto is an excellent DAM software for businesses and universities to manage, record, and share videos (and even do live streams) across your organization. It’s designed with ease of use in mind for employees, instructors, and students to utilize regardless of their prior experience in using a video-editing platform. With that, it’s used by various organizations for event streaming, social learning, training, onboarding, lecture capture, classroom lectures, and internal Youtube. Secure portal. Panopto is equipped with a secure portal for video management, easy-to-use recording and live streaming software, a unique video search engine, and integrations and APIs for portals, LMS, and CMS. For businesses and universities. The software is built for the usage of both businesses and universities, which means the platform is user-friendly for a wide range of user type whether they have previous experience in using such software or not. Personalized pricing. The pricing plan of Panopto is only available upon request to match your unique needs. Interplay MAM is a media asset manager used by many broadcasts, news, and post-production facilities to quickly retrieve digital assets and streamline media processes. The app is highly scalable and fully customizable. It lets you integrate the system with your existing infrastructure easily with its robust APIs. It also streamlines file transfer, retrieval, and reuse with improved real-time workflow collaboration access anytime, anywhere. Rich-featured software. The app has a wide array of features and modules including content delivery in multiple channels, high-speed file transfer, media archive and restoration, centralized interface, and asset management, among others. Content reuse and monetization. You can repurpose your content into a new story or project and create a new revenue stream with it to maximize the asset. Specialized subscription. The vendor offers enterprise pricing that’s based on your business’ requirements. Filmora is a reliable digital asset management solution for videos. Both its desktop and mobile application are easy to use, intuitive, and appealing. When it comes to video editing, it has powerful features that are laid out in its simple interface which makes it easy for users, regardless of their experience, to learn and navigate around with. Its creative features let you easily create a compelling video with motion elements, text, titles, filters, overlays, transitions, and music. Robust editing options. The app offers 4K editing support, GIF support, noise removal, color tuning, precision speed control, frame by frame preview and reverses clips to give you more control and flexibility in editing your videos. Video enhancements. It has advanced tools such as screen recording, video stabilization, split screen, green screen, and audio mixer, among many others to cater to your video making preferences to achieve the results you want. Competitive pricing. The cost of purchasing Filmora’s license starts at $39.99 for 1 year or $59.99 for a lifetime use for individual users with 1 PC. Lifetime license for businesses starts at $119.99. Cacoo is a unique digital asset management system that’s tailored to help you easily create and access diagrams anytime and anywhere. The cloud-based collaboration solution leverages project management with real-time workflows that allow multi-editing, in-app comments, and activity notifications. Sharing assets is streamlined using links, email or social media using SVG, PDF and various exporting options.  Vast selection of diagrams. Depending on the diagram you need to make, you can choose from templates and shapes for diagrams in Cacoo are available in flowcharts, mock-ups/wireframes, network diagrams, database diagrams, UML diagrams, and minds maps. Full-featured asset manager. Stay on top of creating and managing your diagrams with the app’s version tracking, revision history, embedded diagrams, Visio alternative, and integrations. Scalable pricing plans. Cacoo’s scalable pricing plans start from $4.95/month and $15/month for single and multiple users, respectively. Enterprise pricing is also available upon request. 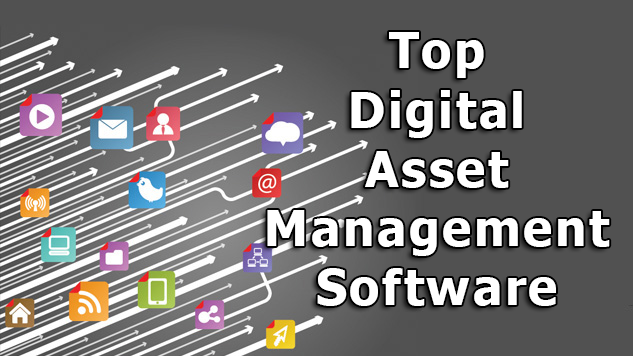 At the ninth spot of our top 20 digital asset management software solutions is Libris. This software is designed for visual content, especially photos and videos. Built for team collaboration, everyone can upload, organize, and share assets with complete control and flexibility. Accounts allow unlimited contributors to a centralized hub for storing files, including its metadata, with self-service and drag-and-drop capabilities. Robust set of features. Users can benefit from same-day setup, high-speed uploads, centralized assets, advanced permission settings, fast tagging and search, secure assets, single sign-on, open API integrations. It also has a flexible folder structure and instant Adobe connection. Highly scalable. The app grows with your business; hence, no matter your organization’s size, you can find a plan that matches your needs and scale. Straightforward pricing. The enterprise pricing packages of Libris starts from $475/month with 1TB storage. Extensis Portfolio is a DAM software built to increase the impact of your digital assets through its robust set of tools and features. Organizing is one of its key strengths with accelerated keywording and multiple galleries, folders, and catalogs. This allows easy retrieval in the future with its automated suggestions of similar assets and utilization of smart galleries. It integrates business systems and maximizes throughput. Rich-featured software. Its collection of features include drag and drop access, user management, asset previews, predictive Google-like search, tags and metadata, automated workflow and mobile file upload. Add-on modules. After addressing the core features you need, you can opt for add-on modules and capacity to match your needs as your organization grows and evolves. Custom pricing. The pricing packages are catered to your business scale and needs which requires contacting the vendor for a quote. Slidely is a digital asset management platform for visual content creation. It lets users instantly create video slideshows from their own set of pictures and music. Sharing on various social media platforms such as Facebook, Twitter and Instagram is also streamlined. Its creative suite of features enables a quick and easy creation and circulation of visual content for efficient asset management. Movie and slideshow creation. The main feature of the app is effortlessly transforming photos and videos into movies and slideshows with its video production service. It also has galleries, effects, music, and easy-sharing capabilities. Social video creation platform. Aside from being a digital asset manager, it’s also a social platform for sharing and showcasing your works. Low starting cost. Starting from $49/month, you can make use of the app’s features or opt for its higher-tiered plans for more advanced features. Organizations that are geared towards animations and videos can take a look at Renderforest. This cloud-based DAM and video maker platform offers free tools for users to create professional-looking Youtube intros, animations, slideshows, product or service promotional videos, kinetic typography and music visualizations. It enables editing content online, browsing through templates, and showcasing videos on various platforms. Tailored app usage. Geared towards personal, business, and educational use, the software includes a simple online editor, content library, collaboration tools, templates, and 3D and animation editing tools. Wide range of video directions. Using the app, you don’t have to limit your creative flair as it caters to unlimited possibilities on the video you want to create – from promo videos to full-blown animations. Flexible pricing options. Users can pay per export or make use of its subscriptions with no editing limitations. Both of them offer free plans in addition to their premium packages. Built for creative companies, Wiredrive is a reliable digital asset management and media sharing platform. It supports your creative process from creation to distribution through an effective organization, collaboration, and presentation. The shared workspace is intuitive and equipped with control access and user permissions to ensure the security of your digital assets. Time-efficient digital asset management solution. The software is a time-saving solution that ensures efficiency and quality in a timely manner with quick creation of presentations, instant search, filter and preview, and bulk-tagging files. It also has private project rooms, design themes, retain HD media quality and large file transfer with batch media upload. Collaboration tools. Speedy uploads and downloads, shared team and project workspaces, and instant workflow sharing leverage the app’s collaboration capabilities. Custom pricing. Requesting a quote is required as Wiredrive caters their plans according to your business’ scale and requirements, which starts at $249/month. Percolate is a content marketing platform that, with its core features’ direct relation to managing content and digital asset, makes it a reliable solution using its asset management tool. Designed on a global scale, the app offers multi-channel capabilities and robust collaboration for initiatives across the world. It streamlines viewing, organizing, and sharing your content within your team or towards external platforms. Robust management platform. Percolate has custom templates for a streamlined content creation, global search and tagging, asset history, versioning, integrated workflows, asset sharing, and localization. Secured platform. The app has access rights, permission settings, and custom user roles to tighten your security and protect your digital assets. Custom pricing. The software’s pricing is only available through contacting them for a specialized quote. For a digital asset manager of your visual content such as photos and graphic design, FotoJet is worth checking out. Without registration or download required, you can try out the platform for free. Its easy-to-use interface lets any types of users – from pros to novice – to utilize its design and editing tools and get high-quality, professional-looking results. Rich resources and templates. A set of rich templates and function-focused resources are available for making collage, social media graphics, cards, banners, and posters, among others. No registration. A time-saving and effortless solution that you can use even without going through a registration process to open an account. Free and affordable pricing plans. Users can make use of FotoJet’s free plan for their digital assets but for more advanced features and priority support, opting for their affordable premium plan is recommended as it’s only priced at $4.99/month or $2.91/month when billed annually. Teams looking for a multi-user DAM fits with Daminion. This server-based platform offers easy installation and deployment on your PC. When using the app, it lets you catalog assets with ease to pave way for instant access when needed. Control access is also included to prevent malicious acts on your assets. Straightforward features and interface. This software is pretty straightforward when it comes to their features, which include broad format support, stored file metadata and copyright information, authentication modes, quick import and export, and powerful integrations. Multi-user management software. It’s a digital asset management software for multiple users for small and medium-sized businesses. SMB-friendly pricing. With a pricing plan for SMBs, Daminion offers its out-of-the-box package that starts from $175/month for 5 users. If you have more users, you can contact the vendor to get pricing. Brandfolder is a popular DAM software that’s equipped with the right digital asset management features and more. It’s built to maximize your brand’s potential and value through efficient management of your digital assets. Analytics provided by the app also shows you how your brand is performing. Meanwhile, it streamlines resizing and reformatting of files to make it easily and quickly accessible to users. All-around management solution. Storing, modifying, and distributing your files is achieved with its features such as auto-tagging, bulk uploading, asset tagging, bulk commands, and monitor user activities, among others. Digital asset distribution. A centralized platform for updating and distributing a single or group of digital assets. During the process, it’s tracked so you can monitor its whereabouts. Custom subscription plans. Pricing is customized and is available on a quote-basis only as it’s based on your organization’s needs and size. Image Relay is a digital asset and brand management software that helps you curate, control, and communicate your assets. It gives you asset profiles that capture a file’s unique details as per campaign, format, or product type to easily match its requirements. It also has a controlled library that promotes consistency across your file library. It streamlines tagging and versioning for a searchable index and accessible asset version history. Rich feature set. The software has advanced and full-text search, drag and drop capability, file expiration, SSL, support desk, basic reporting, and a broad file format compatibility. Asset profiles. To leverage file management, each asset gets an asset profile that collects its unique information as per varying requirements and fields. SMB-friendly pricing tiers. With a pricing that matches SMBs and global enterprises, Image Relay’s packages start from $99/month for startups and small businesses. Developed to meet the requirements of any business type and size, Cincopa is a digital media management solution that features a myriad of tools for hosting images and videos on their platforms, whether it be for internal use or promotional materials. It features customizable video players, slideshows, templates, and other tools to help you get your message across to your intended audiences. With Cincopa, all your media assets are stored in a single location, complete with a reliable search system for easy file access and file permissions to prevent unauthorized parties from laying their hands on your assets. Video hosting and management. Have access to all your digital assets on a secure platform and safely deliver your videos wherever you want. Versatility. A wide number of industries can use the platform for their digital media management needs, including academic institutions, sales teams, news outlets, e-commerce businesses, and more. File permissions. Set permission settings to prevent outsiders and unauthorized individuals from laying their hands on your digital media assets.